A SET OF PINK NAUTICAL CHAMBRAY NECK TIE AND CUFF LINKS. 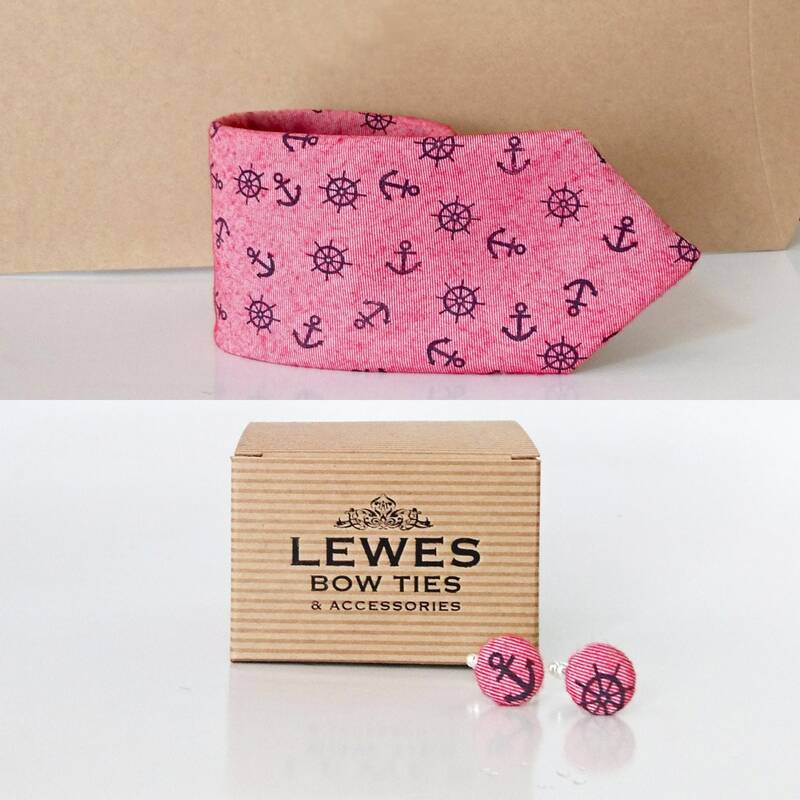 A set of pink chambray neck tie with mini anchor and wheel print in navy blue and matching pair of cuff links. A perfect gift for your grooms, groomsmen or father.